Period 6: See Tuesdays post for homework and notes. 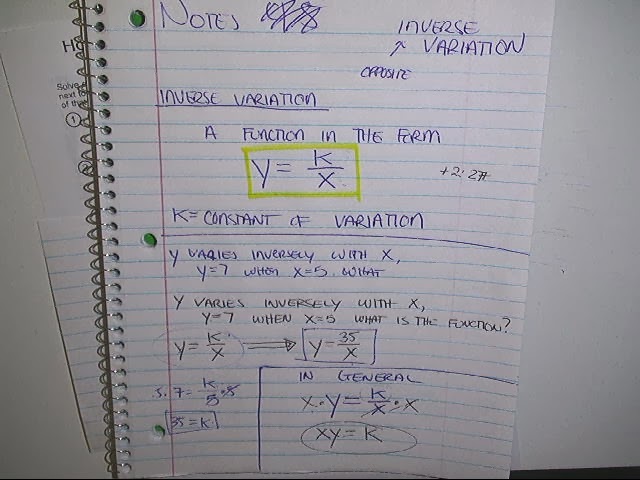 Period 2,3: We did inverse variation. There is a worksheet, ask me for it. A snail crawls up a 28 foot pole. Each morning it crawls up 4 feet, and each night it slipped down 3 feet. How long would it take for the snail to get to the top of the pole? Get a printout for the worksheet on the POW page. Period 2-5: We learned about direct variation ,and did a page finding direct variation equations, with some graphing on the back. Homework for period 2-6: Workbook page 253 numbers 1-10. Here is a link. 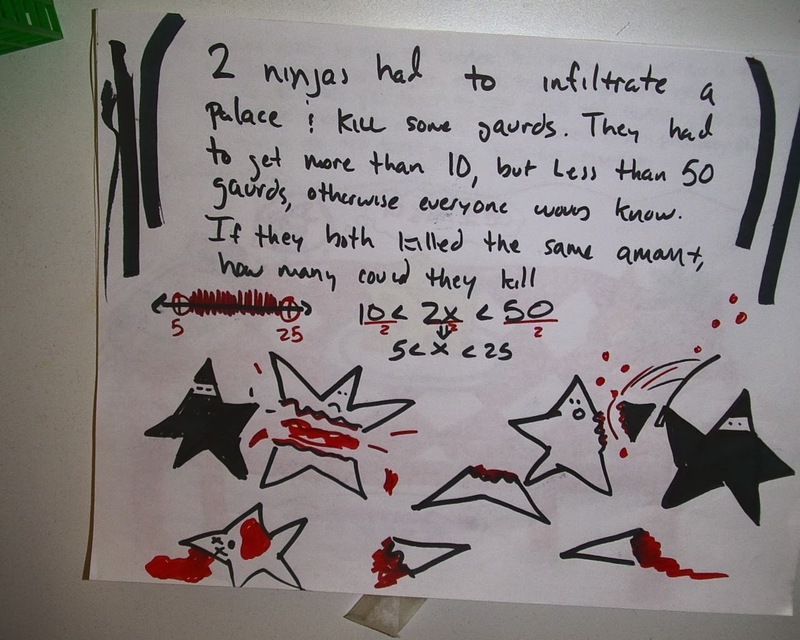 The user is CPMA, the password is math419. 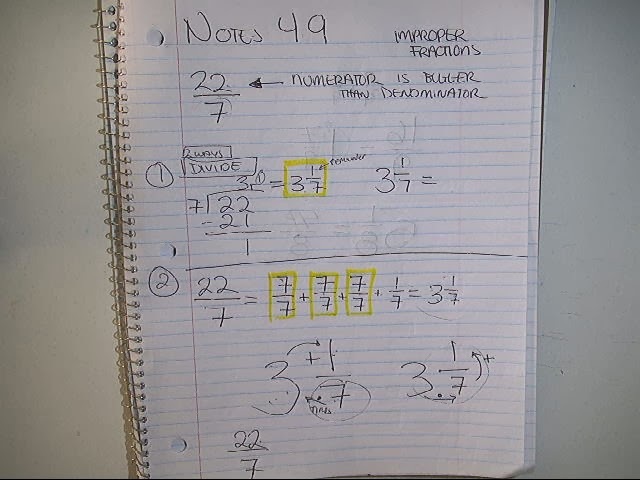 Period 7: We rewrote mixed numbers as improper fractions, and improper fractions as mixed numbers. 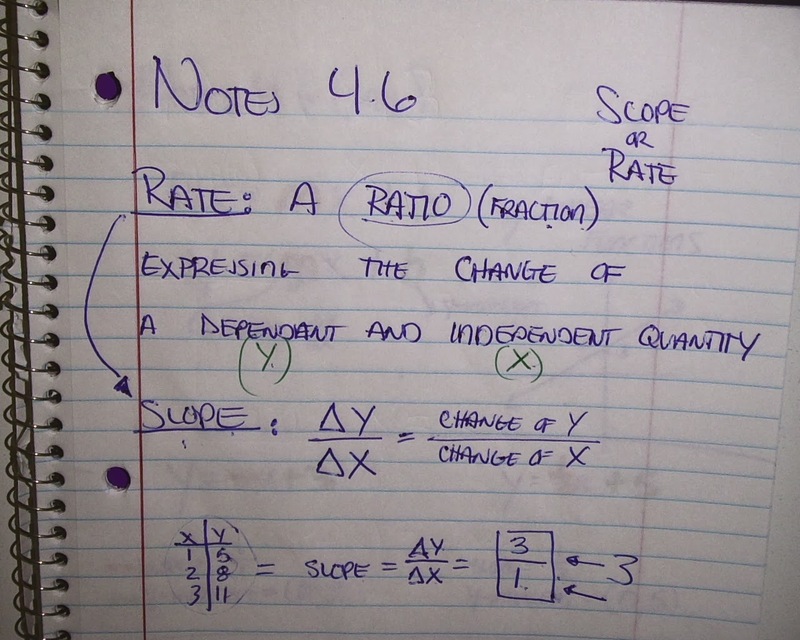 All classes: We did a notebook quiz on sections 2.2-3.5. If you missed a lot or were absent, you have to remind me later this week to take the test. 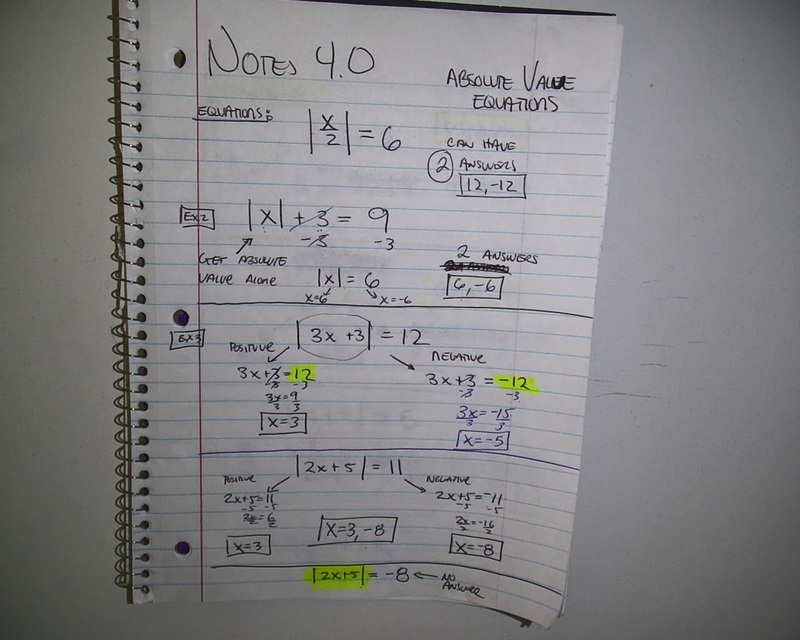 Periods 2-5: We learned about absolute value equations, and we are doing #1-12 on the worksheet from class. You have to see me for the worksheet. Period 2-3: Finish the challenge on Manga High. Period 4-6: Check out last Thursdays post. 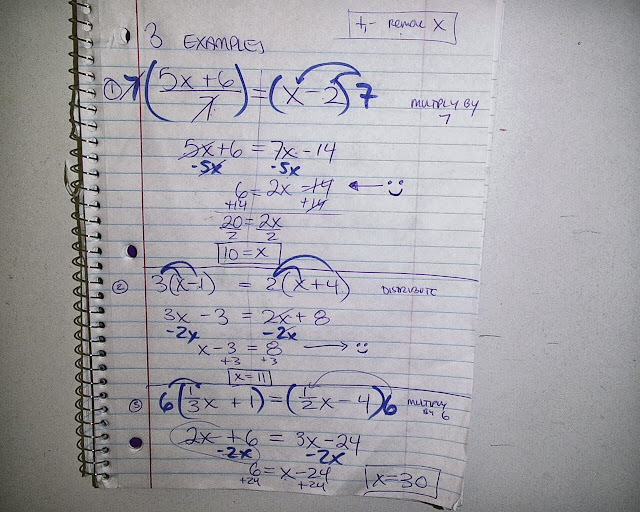 We are making up some situation that can be described with a compound inequality. Period 7: Finish the front side, Finding The GCF (Greatest Common Factor). 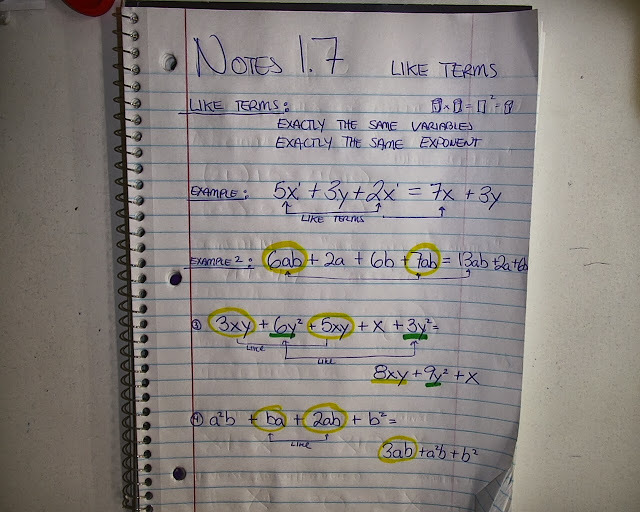 Do the work on a separate sheet of paper. Period 6: We took notes on conjunctions and disjunctions. You were supposed to do 1-12 and 19-22 on workbook page 235. See Tuesdays post for the links. Period 7: You continued working on your factor and prime factorization pamphlet. If you did not turn it in today, they are due Friday first thing when you come in. 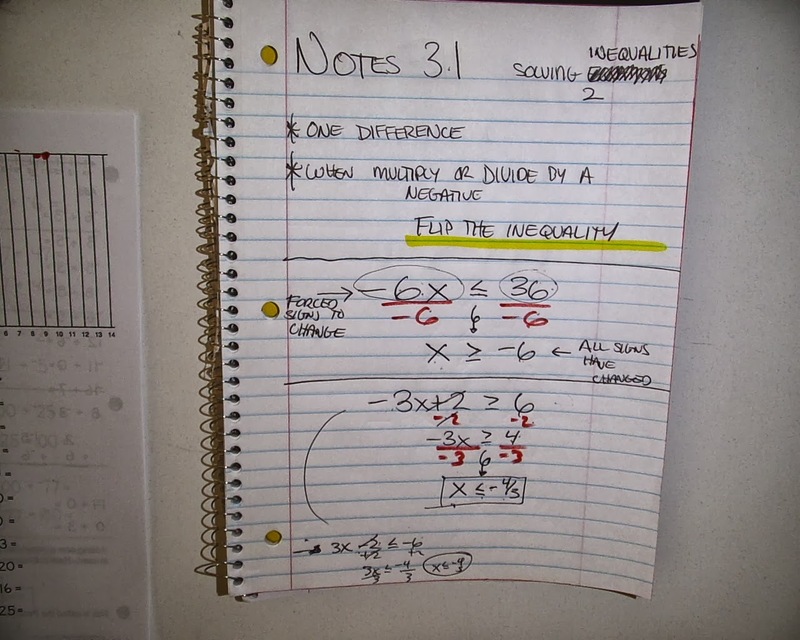 Period 2-3: We started a made-up compound inequality. 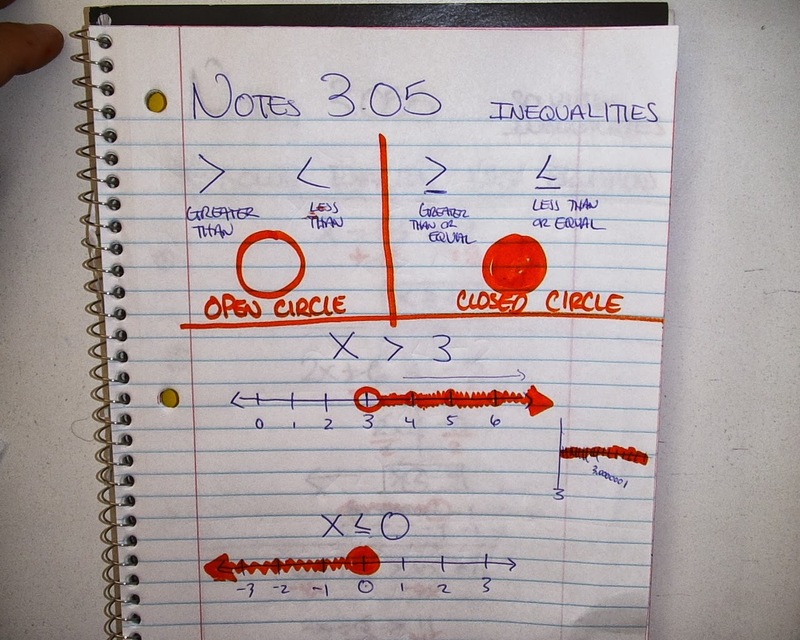 Make up your own story that can be modeled with a compound inequality. Make it colorful. Due when you come back Monday. Here was an example from class. Spell "Guard" correctly. Only inanimate violence allowed. All Classes: No homework. We took a practice benchmark. I am going to a meeting on Friday where I will grade them, I think. Period 2-5: We learned about conjunctions and disjunctions. Homework was 1-12 and 19-22 on Workbook page 235. Periods 2-6: We learned about compound inequalities. HW was a matching activity. See me for the page. 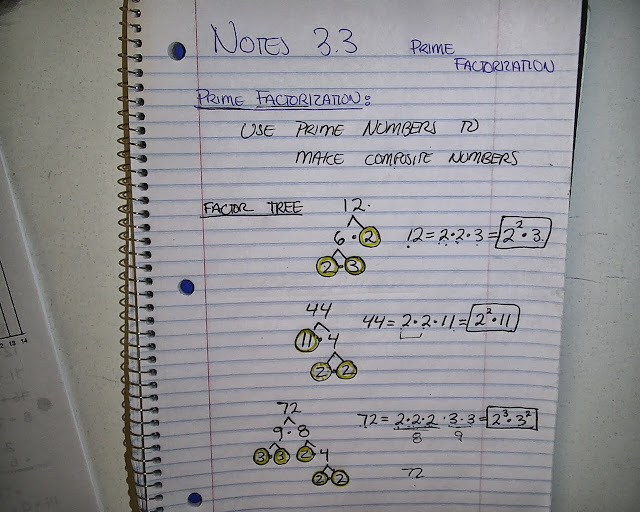 Period 7: We learned about prime factorization last time, and today we started a project pamphlet where you will explain what Factors and Prime Factorization are, and give me examples of each. 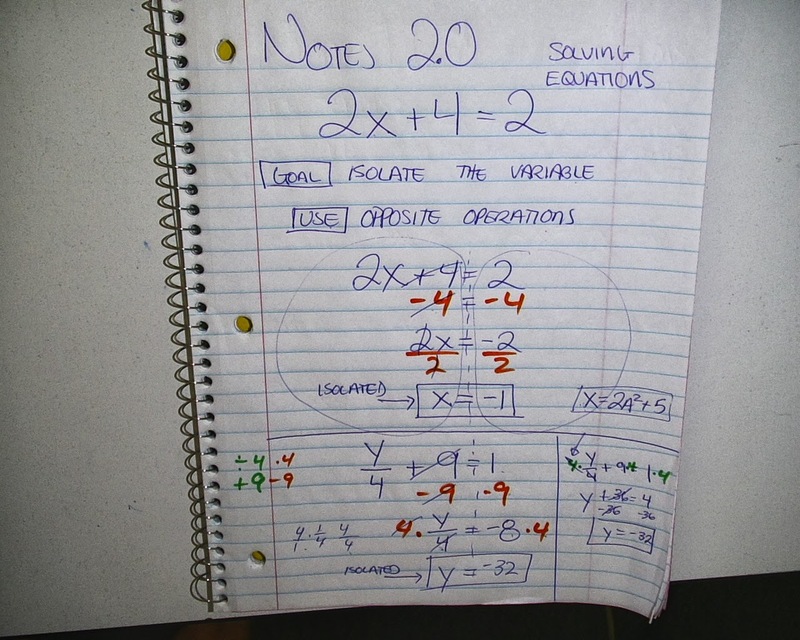 Periods 2-6: We took notes, and solved these 10 equations. 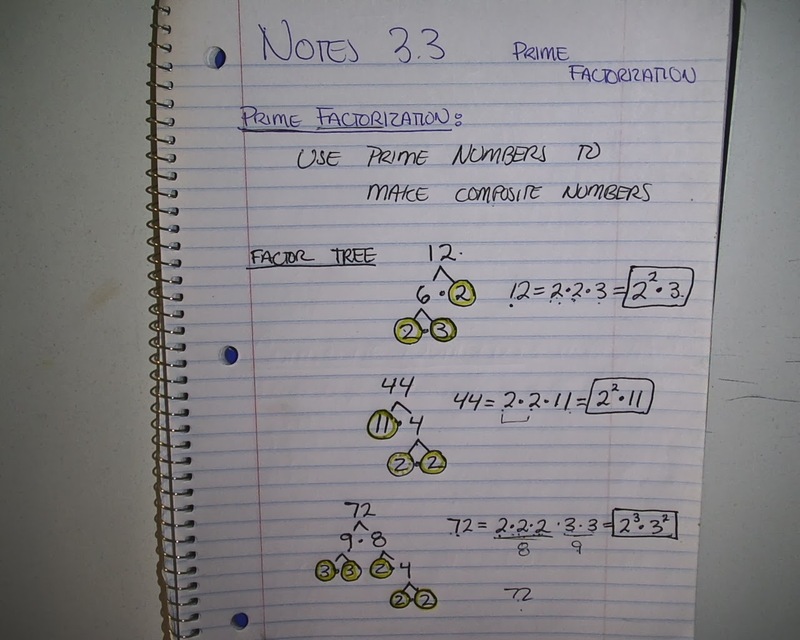 Period 7: We learned about prime factorization, and did 2 pages from the worksheet. Many of you finished it in class. 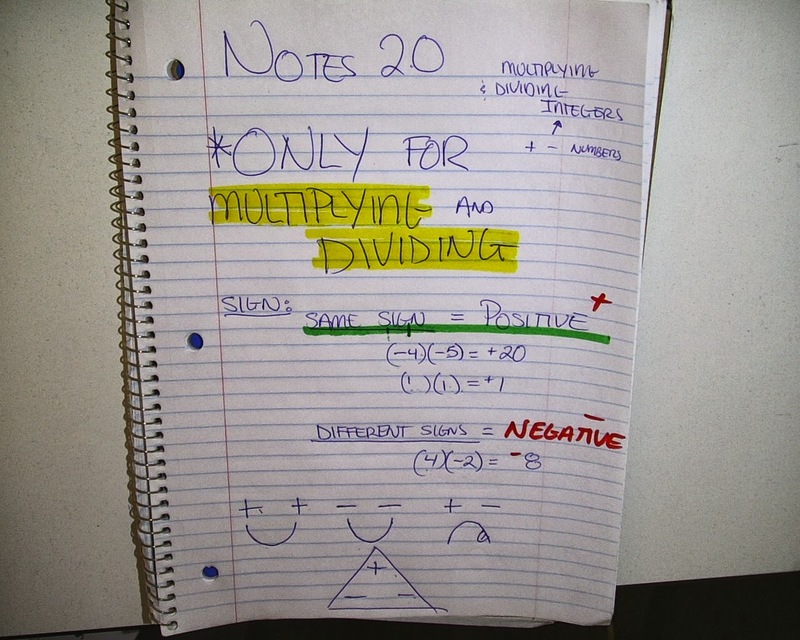 we did notes on why we flip the esign when multiplying or dividing by a negative number. There were 10 inequalities to do in class. 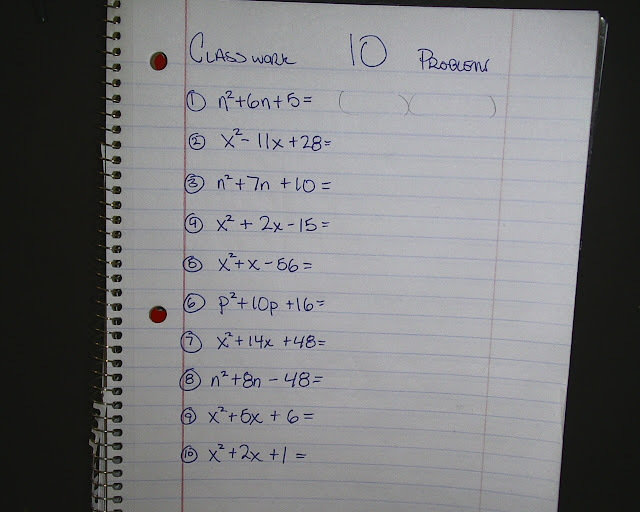 No homework, we did the problem of the week. Homework for periods 2-5: Finish problems 1-8 from workbook practice 3-2. 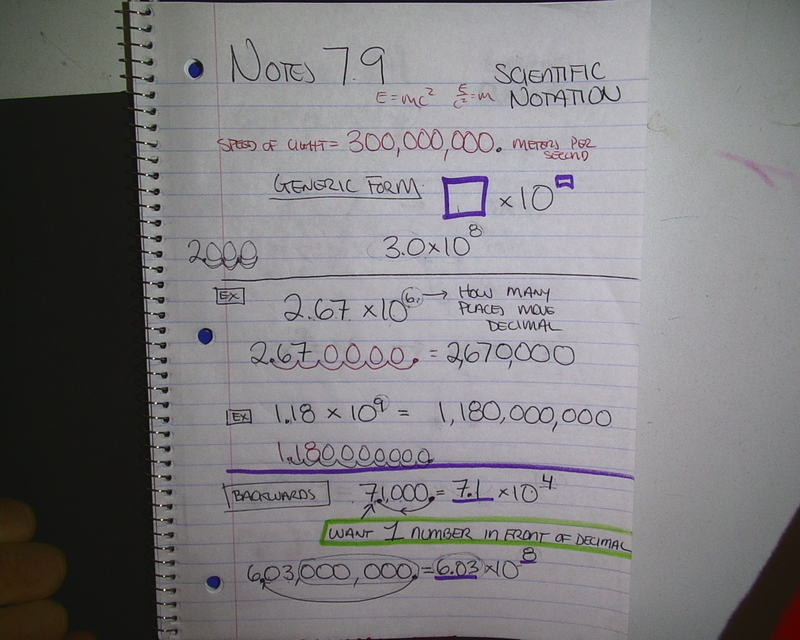 Below is the notes we took. We did double today. Periods 2-6: finish up to problem 8 on the word problem page. Period 7: we did factor houses, and you were supposed to finish for homework. Ask me at school if you need either page. Period 4-6: We finished the project. See these examples! Period 7: We did manga high. Your goal is to get a medal in the Prime game. Many of you finished in class. 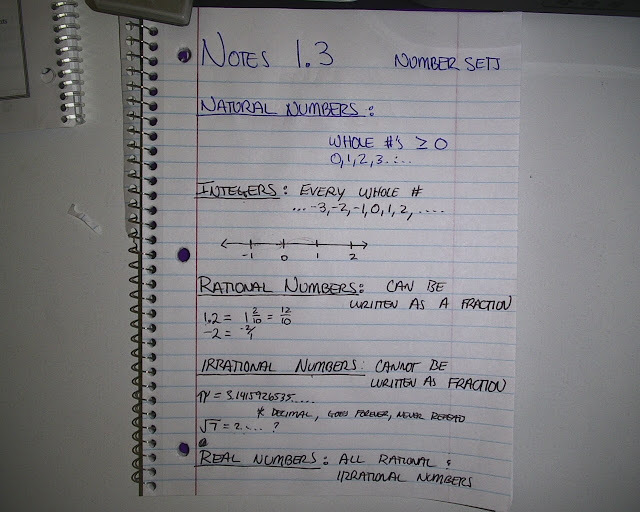 Period 6: we finished the 5 problems (check Tuesdays Post) and started a project. You explain one of the problems creatively to me. Period 7: We took a test, there was no homework. Period 2-3: We finished our project, there is no homework. 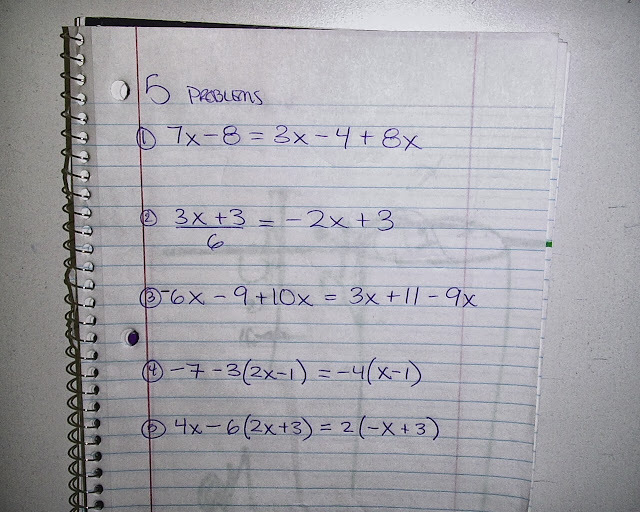 Period 2-5: We did 5 problems in class (which was also the homework). The project for the week is to take one of the problems and explain it back in pamphlet form. See below for the 3 we did together, and the 5 problems that were homework. Homework for periods 2-6: Finish the 8 problems that were on the board. See below. Period 7: Page 209 (Practice 1-3) from the workbook, #1-20. Homework for periods 4-6: We did the word problems in class. Homework is the Manga high Algebra Meltdown challenge. You can access Manga High through the link at the top of this page. 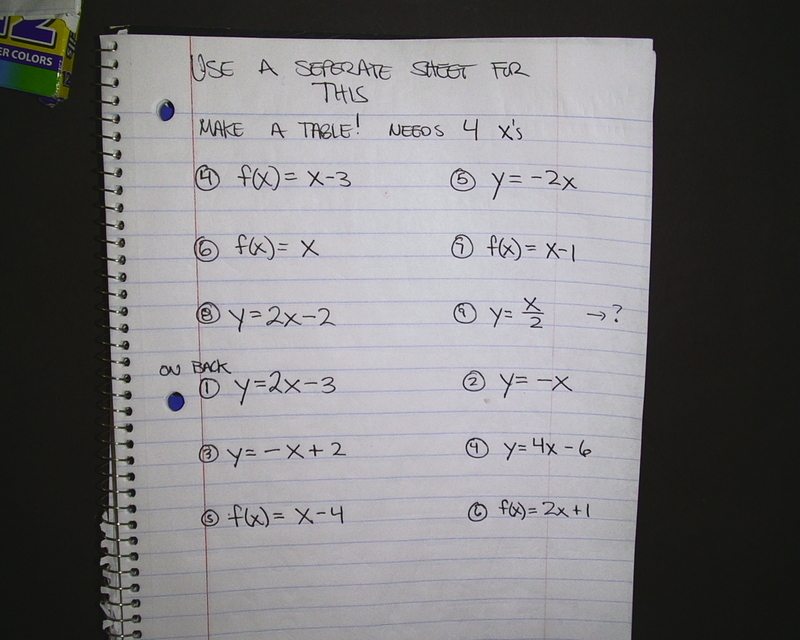 Period 7: We did Distributive Property Worksheet. 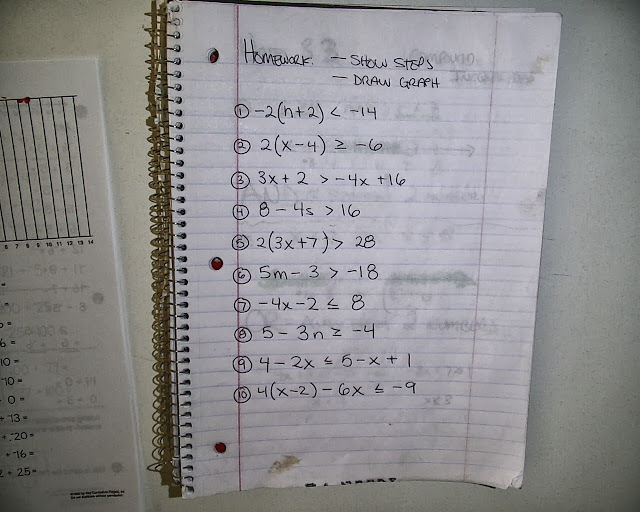 If you want extra credit, you can do ALL the problems from Thursdays Homework. 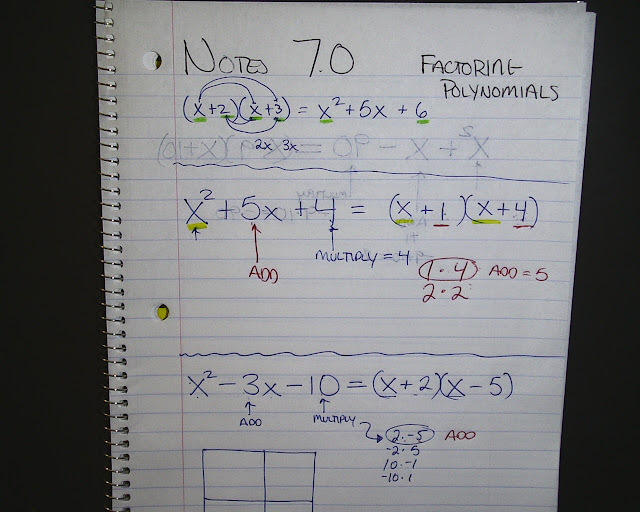 Homework for periods 6,7: do the 7 fraction problems, check Tuesdays post for the work and notes. Today we took a Notebook Quiz, which goes over the warm-ups and notes we do in class. If you need to make it up, see me in the next few days. You need to remind me, because I will forget. You can redo the quiz at anytime. 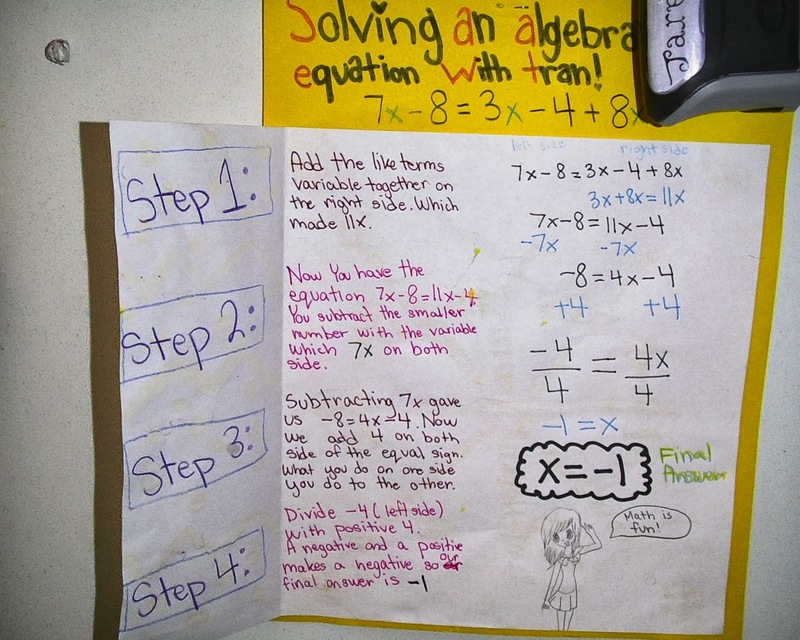 Period 2-5: We messed with equations, and learned how to make fraction equations easier by multiplying them by some whole number to cancel out the fractions. 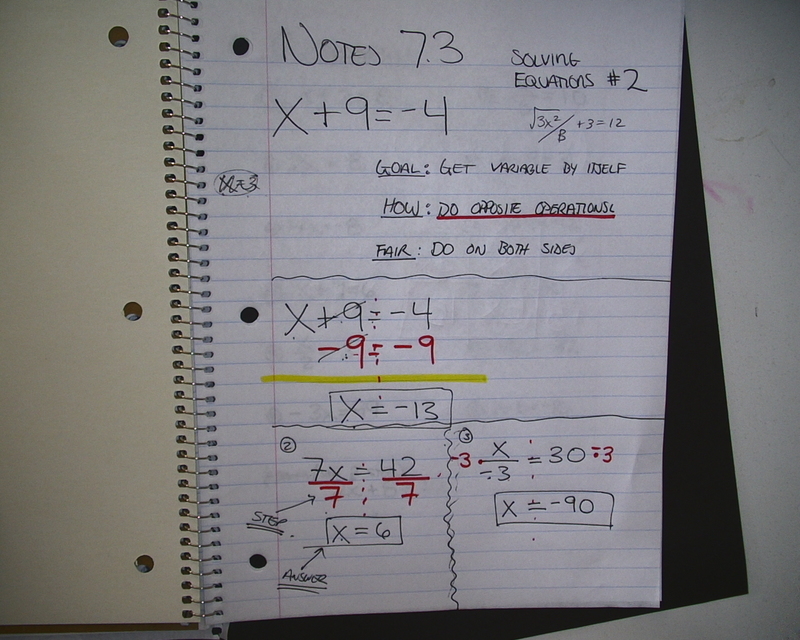 See below for the notes, and the 7 problems which were homework. Homework for periods 2-6: Finish the first side of 2 step equations from page 34. Be sure to show both steps. Periods 4-7: just login and play something on mangahigh, you can use the link at the top of this page. If you need your login and password, email me. Period 6: no homework, we took a test. Period 7: finish 2-1, identifying properties. Today the problem of the week is due. There is no new assigned homework. Periods 6 and 7 have homework from Monday to turn in, and periods 1-5 have no homework. Problem Of The Week is Due TOMORROW!!! Periods 2-5: No homework today. We took a test, and I couldn't get the computers to log you in fast enough. We will do manga high next time I see you, and you can always get there by clicking the link at the top of this page. 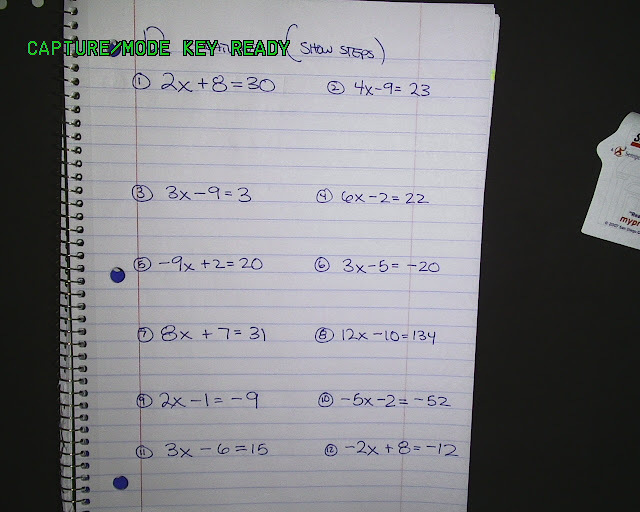 Period 2-6: Homework was Practice 1-8, you can click the link to download it, user name is our school, in lowercase, password is "math" with my room number attached to it. 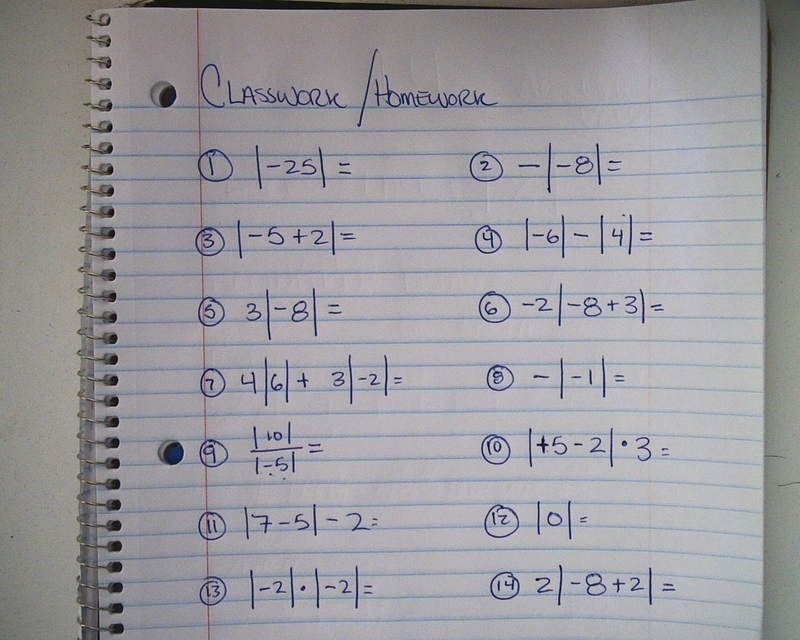 Period 7: Homework was Practice 1-6 you can click the link to download it, user name is our school, in lowercase, password is "math" with my room number attached to it. Period 4-6: We went over like terms and distributing negatives. You can check yesterdays post for the notes. 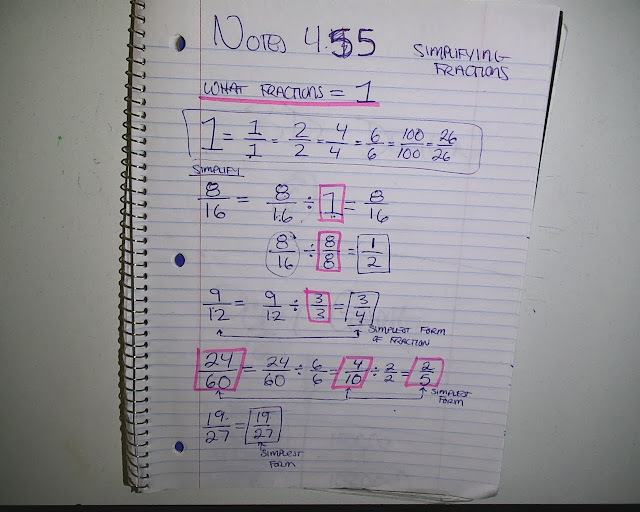 Period 7: We went over how subtracting is just a negative sign, circling terms so we can see the negative sign, and the homework is the first two columns on the page 18 worksheet. Period 6-7: You emailed me from class, which was the homework. 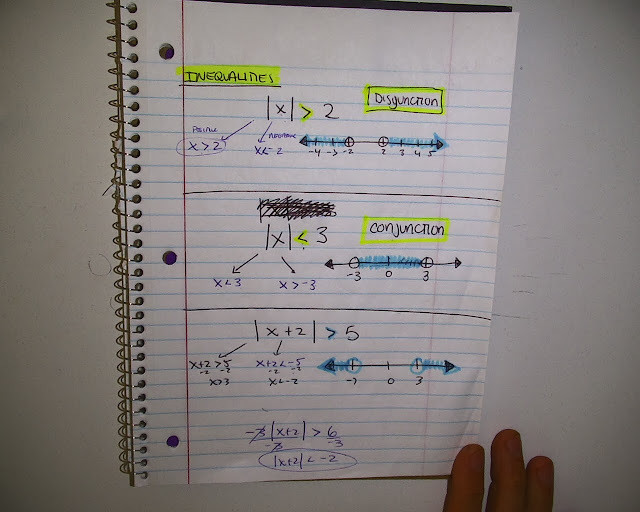 Period 2,3: You have to finish the distributive problems I gave you in class. Please only do #1-10. See below for a pic of our notes. Problem: In the sequence 16, 80, 48, 64, A, B, C, D , each term after the second is the mean (average) of the previous two terms. Wat is the value of D? There will be a link to the POW template HERE . Periods 2-5: you guys got on the net books, learned where my website was, and emailed me. Everyone in class got checked off for this. If you are absent, just email me and you will get credit next time you are in class. 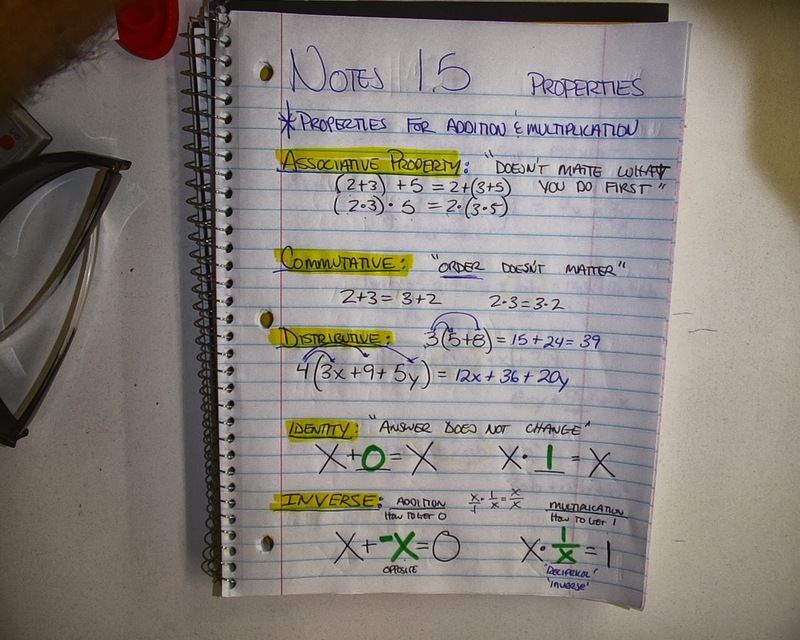 Period 1-6: Today we went over the properties and did a worksheet on identifying properties. If you were absent, see me for a copy. It is due tomorrow, and we will keep track of these things in our planners from now on. 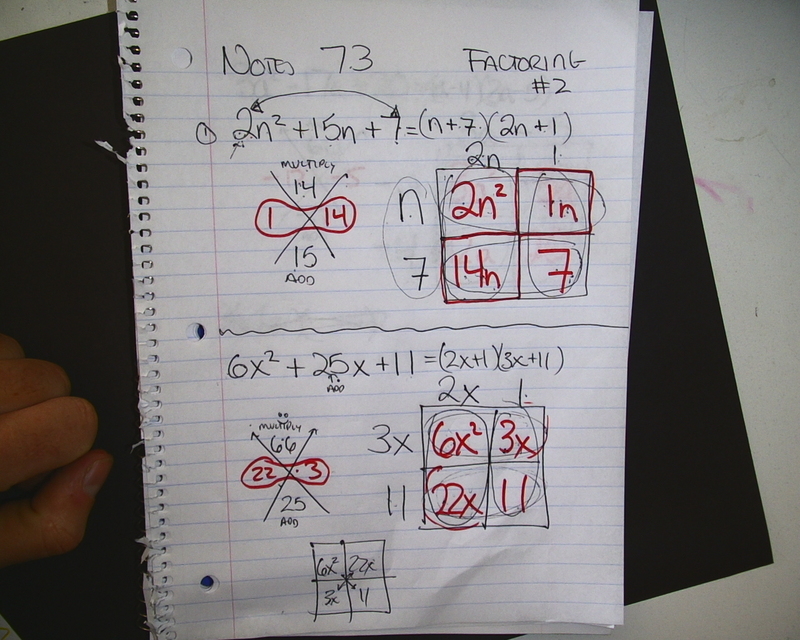 Period 7: We learned how to add integers. There are some problems that we did in class. 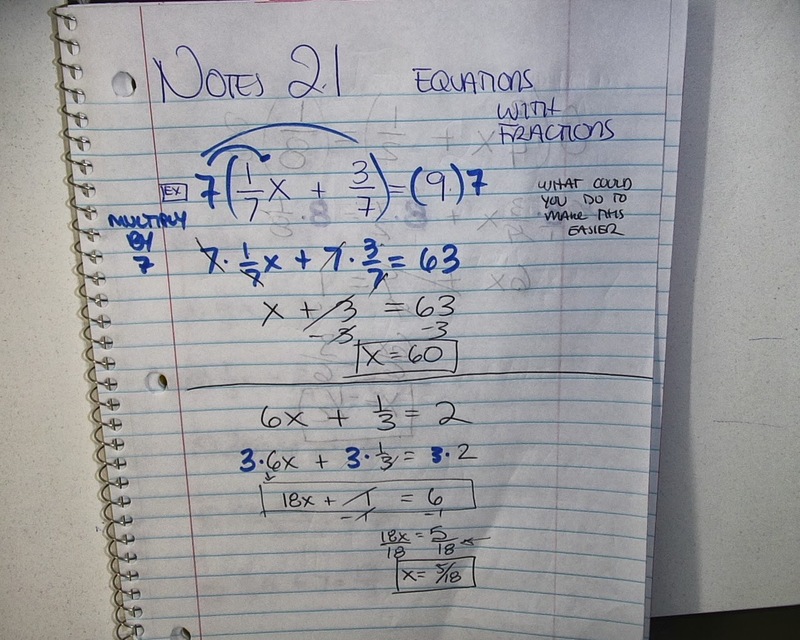 For homework, do 1-20 on worksheet #12. If you need a copy, see me in class. 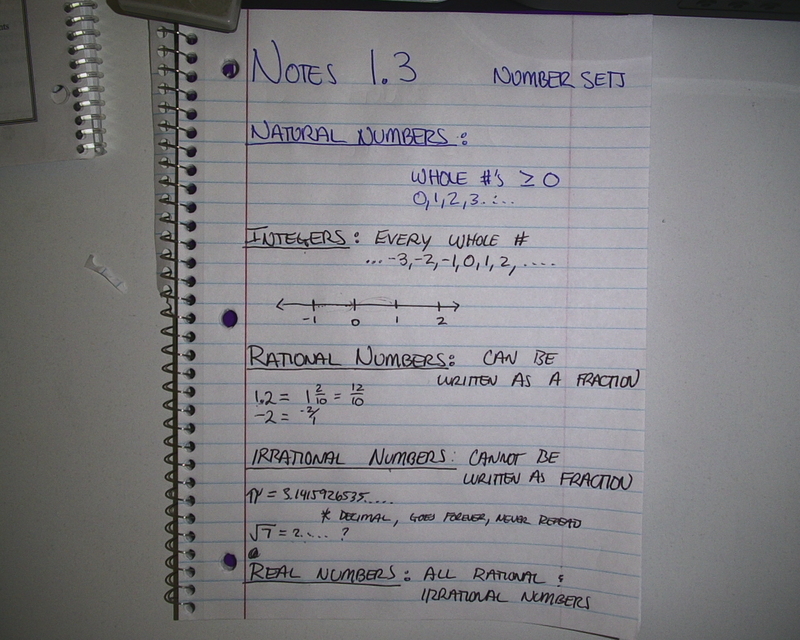 Homework for period 4-6: Finish the Rational Number identification page. Its attached below. 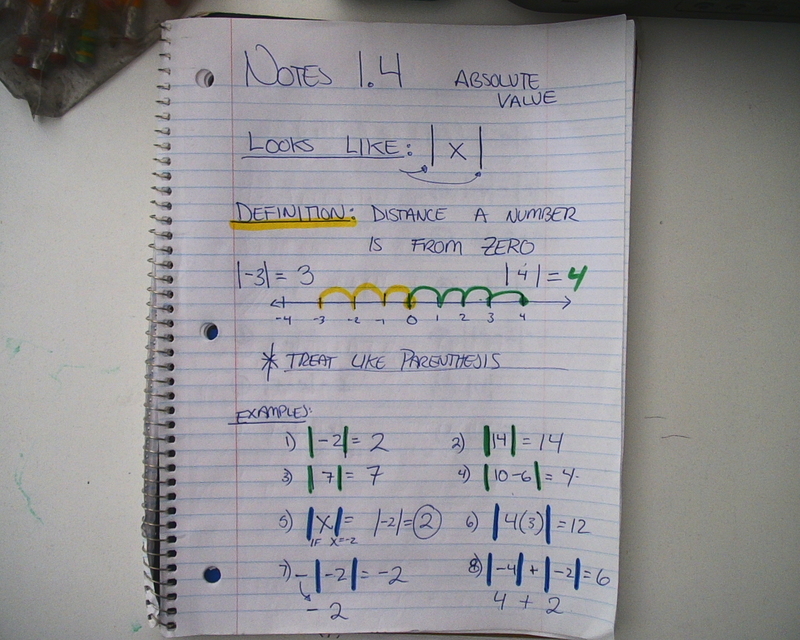 Period 7 - We did 14 absolute value questions. Check below for the notes and the problems. No homework. We took notes. See below for a picture of them. Periods 2-5: There is no homework. Today we did the MDTP for Geometry, which basically shows what you need to learn for the year. There is no score given for this. 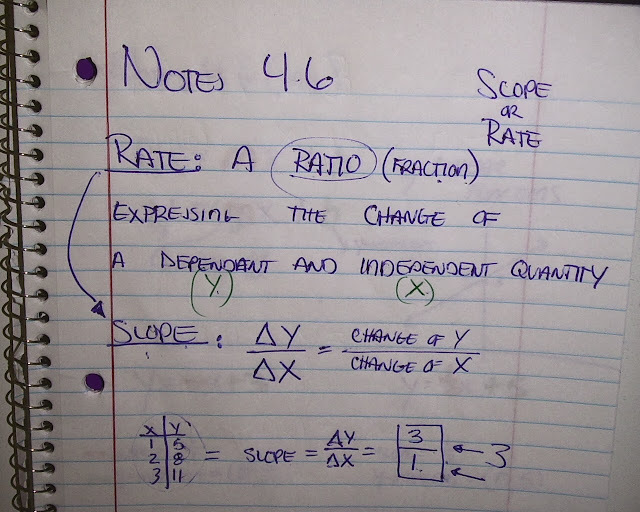 I will tell you your score later next week, but do not get discouraged, you do not know half of what is on the test. We will take this test again in June, and THEN you will be graded on it, but by that point you should know everything on the test. Periods 1-6: No homework. We worked on calculating GPA. Period 7: No homework. You kept the GPA worksheet. We will work on it again Wednesday, so do not lose it! There is no real homework for this week. You were supposed to turn in your syllabus and tardy policy to me. All Classes: We went over the syllabus and tardy policy. They need to be brought back by Friday. The new syllabus and other files for 2013/2014 have been posted. Check the links on the right. Homework for periods 1,3,5,7: either do the review worksheet, (sorry I don't have an electronic copy) or do levels 50, 53 on learning upgrade. Finish the box-and-whisker plots for the height of the teams. Bring the sets tomorrow so we can finish with weight. Homework for period 1,3,5: Do learning upgrade. level 42. 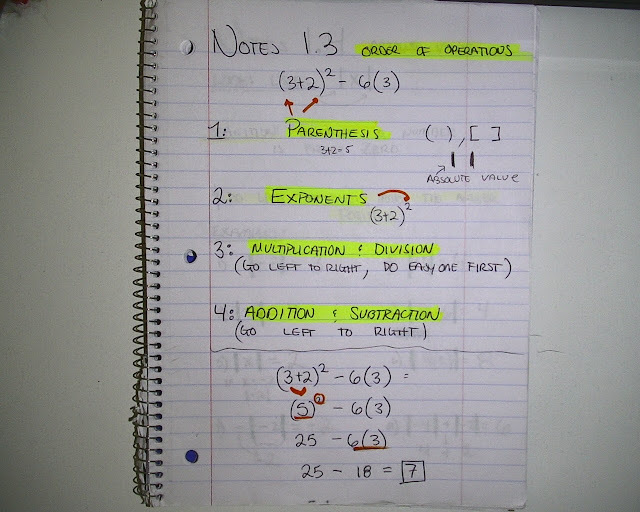 Homework for periods 1,3,5,7: Do # 29, 30, 32, 33, 35 from page 393 in your workbook. Here is a link. 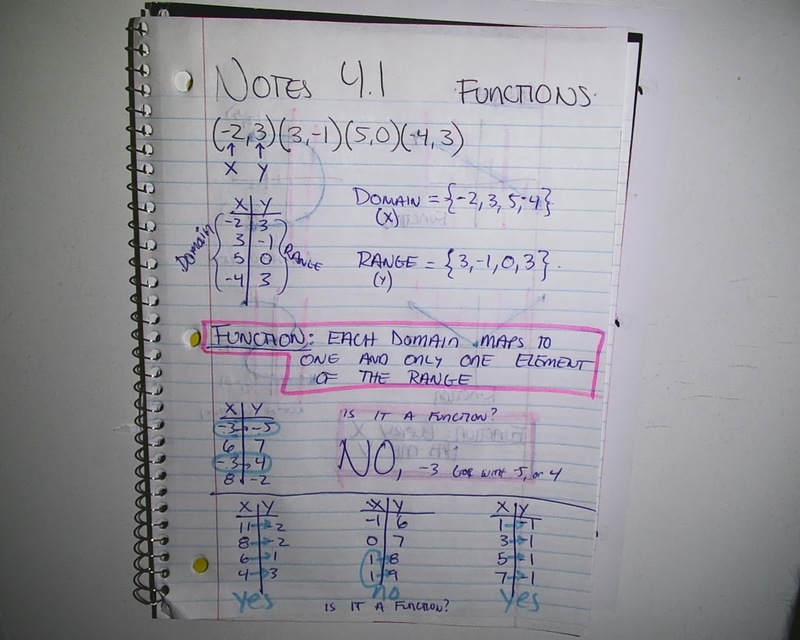 CPMA is the user and math419 is the other thing. Homework for period 2,4: Finish this worksheet. 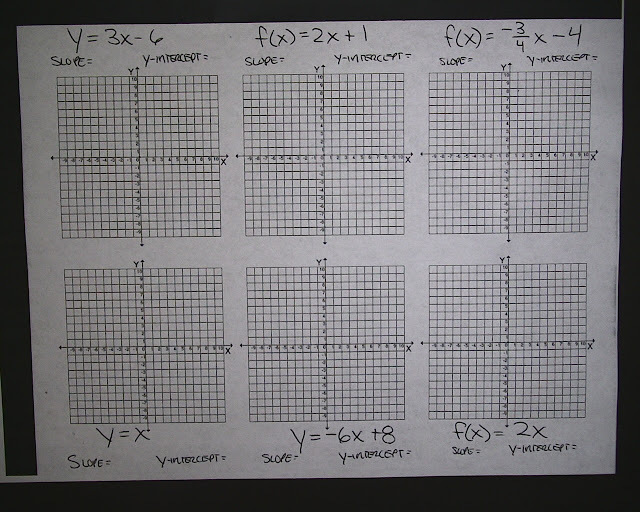 Period 4: Finish graphing the 10 functions from class using the slope and y-intercept. Homework for period 7: Finish the review of systems of equations. 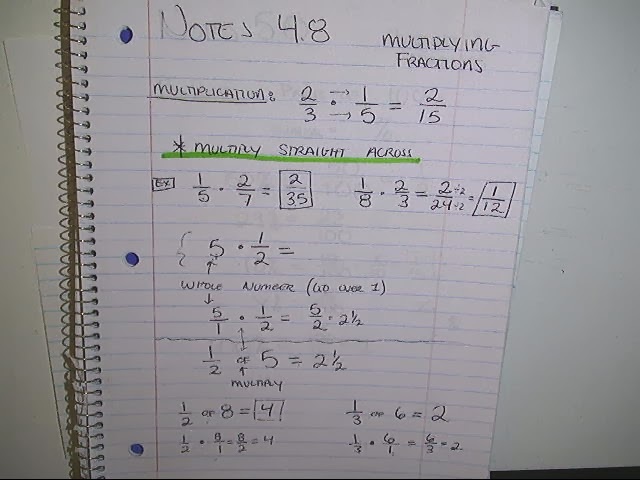 Period 1,3: Simplify the fractions from class. Here is a link to the page. 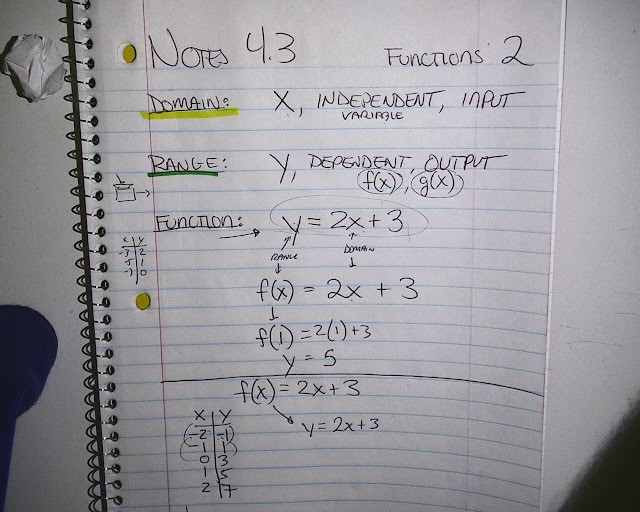 "CPMA" is the username, and use "math419" as the other thing..
Period 2: Graph the equations from class on your graph paper. They are listed below for your convenience. Homework for periods 1,3,5: Do the review page of systems. Adding will solve all of them. Period 2,4: Finish graphing the 7 functions from class. 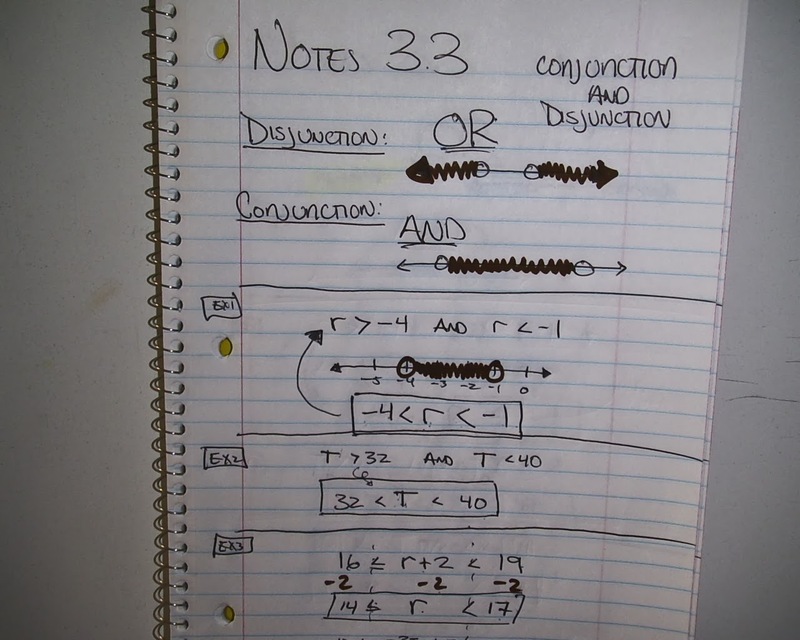 Here is a pic of the equations. Homework for periods 1,3,5,7: Do the practice quiz. We will do a real one next class period. 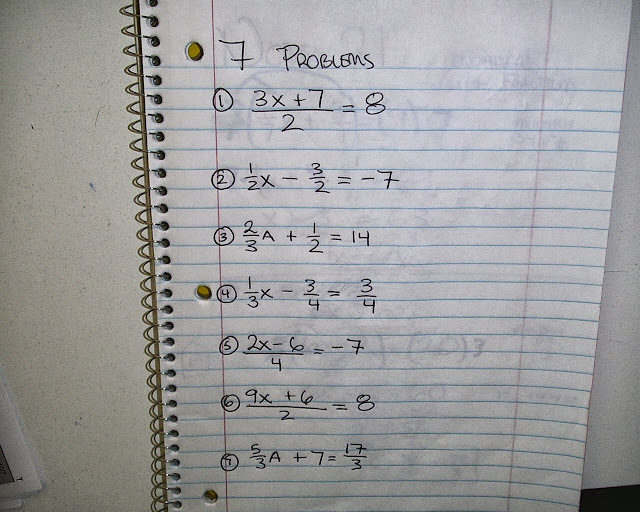 Period 2,4: Finish the backside of the slope worksheet, just the top 6 problems. Period 1,3,5,7: Finish the learning upgrade level 56. You can get a silver in it. Algebra: There will be a quiz on radicals on Tuesday(or Wednesday). We will review on Monday. Homework for period 7: Finish 1-9 from the workbook, here is a link to the page. 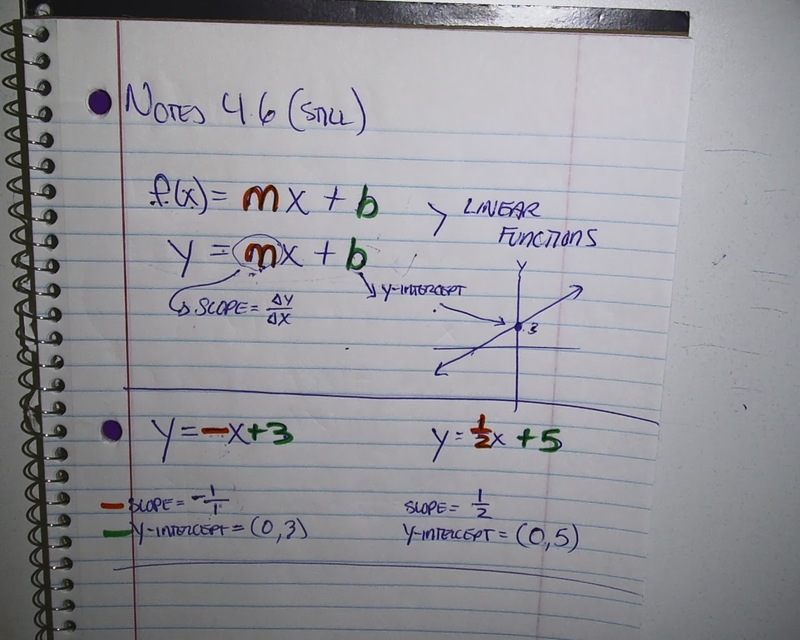 Period 1,3: Graph the square root problems from the board. Be sure to list the domain and range. 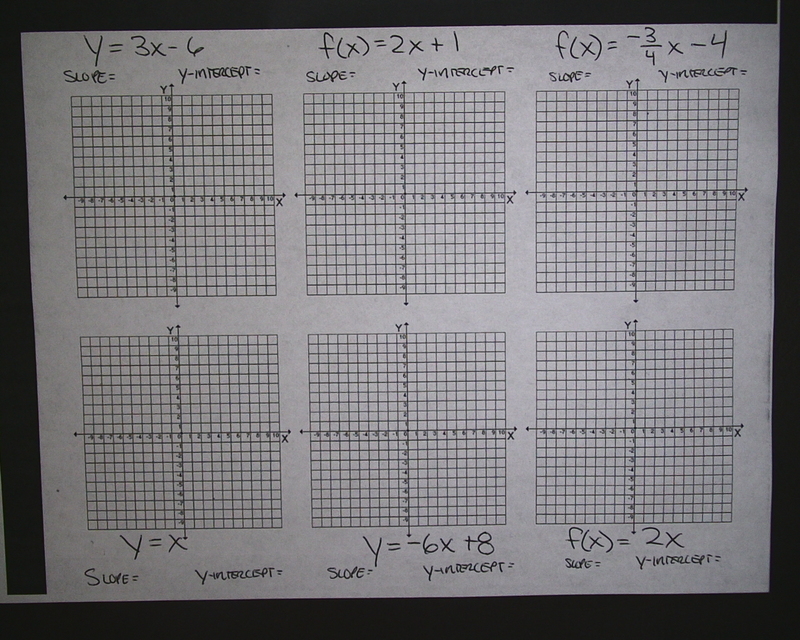 Period 2: Finish graphing the equations from the board. 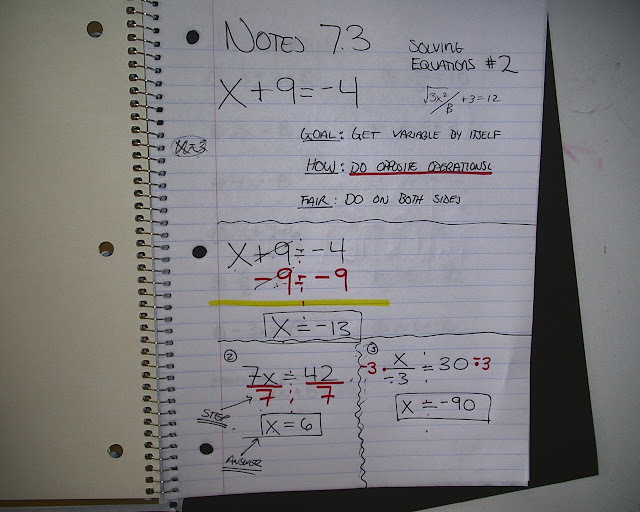 DO # 1-9 from 3-3, inequalities. 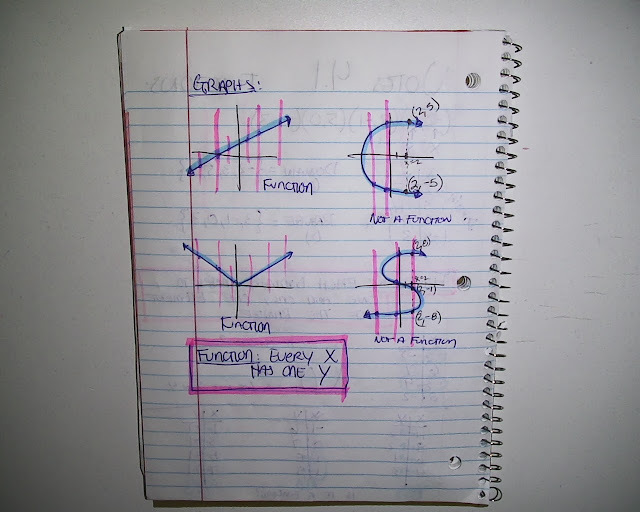 Be sure to graph your answers on a number line. Here is a link to the page. Period 2,4: Finish the function machine worksheets. 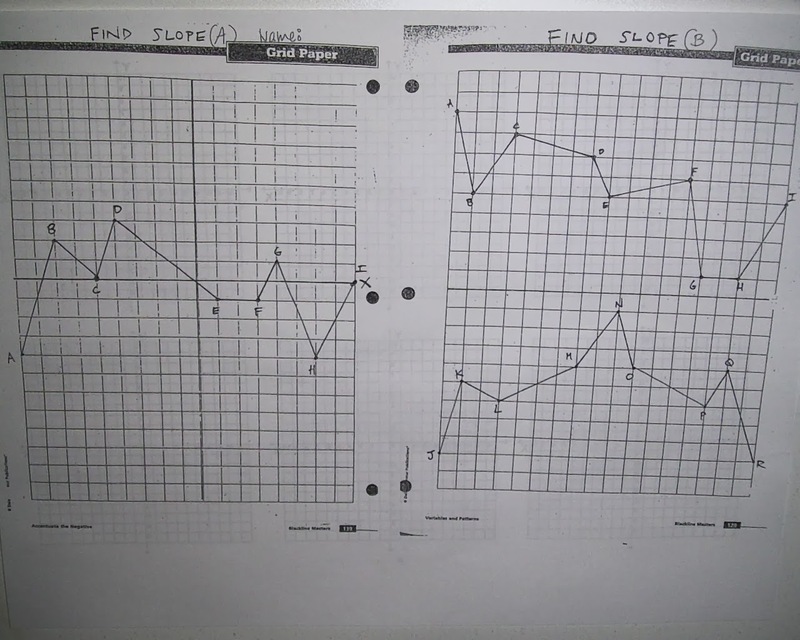 Period 2,4: Finish the SD reflection graphs. Period 2: No homework, we took a test. Homework for period 7: Do the three word problems. Look at yesterdays post for them. Period 1,3: Finish the worksheet (also three problems). If there is no starting height, assume C=0. Period 2: Finish plotting the points for the right triangles, and graphing them. Find the perimeter and the area of each triangle. Period 2,4: Finish the Pythagorean worksheet, both sides. river, how long will it take for the rock to hit the water? 2) A tennis player hits a ball 1 foot above the ground with an initial velocity of 20 feet per second. How long will it take to hit the ground? 3) You drop a water balloon off a building 200 feet in the air. How long until it hits your friends head who is 6 feet tall? Homework for period 1,3,4,5,7: Do the challenge on your Manga High page, get at least a bronze in it. Period 2: Bring the drawing right triangles worksheet back. Check your grades. Everything is current. 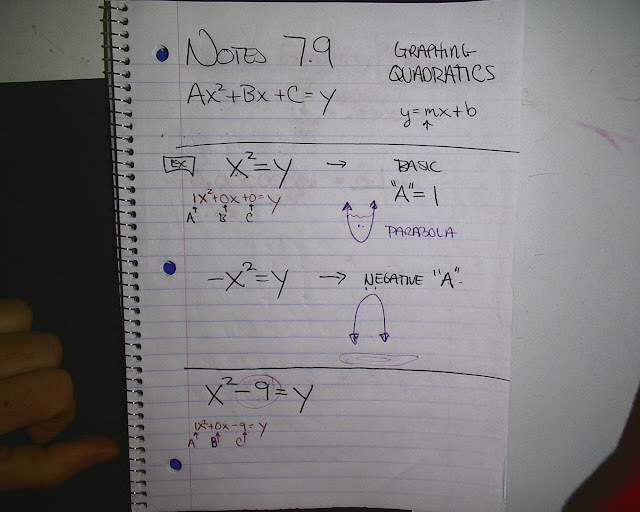 I added to your grades based on the quadratic retake, or you redoing the scientific notation problems you missed. If I am missing something and did it, take a picture and email it to me so I can change your grade. Period 7: We took a test. No homework. Period 1,3: Finish the graphs from class. Period 2: We finished the estimating square roots and I stamped you for it in class. Period 1,3,5: No homework, we took a test. Period 2: You took the CST Writing test, no homework. Period 4: You finished the estimating sqaure roots worksheet and got stamped for it. 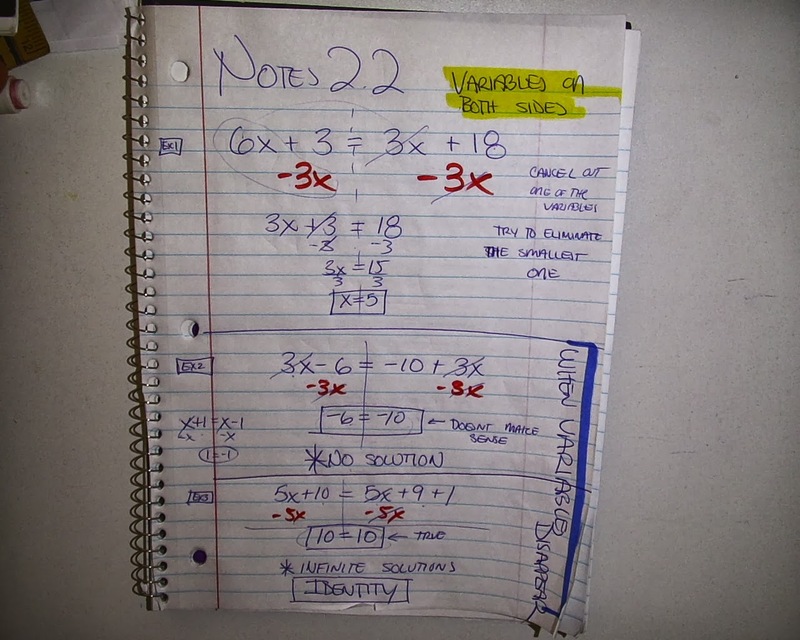 Period 2,4: Bring the square root paper back so we can do the back. 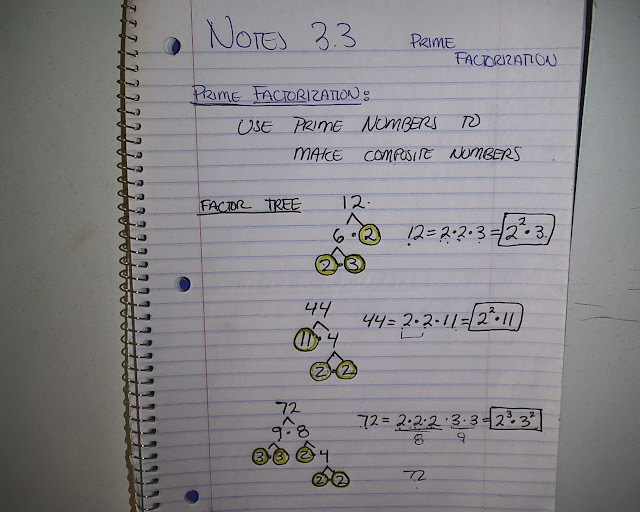 Homework for periods 1,3,5,7: Finish level 49 of Learning Upgrade. Period 2,4: No homework, we took a test. I was absent today. For all classes, finish BOTH sides of the worksheet and bring them back tomorrow for stamps. Also, do not forget to bring the homework from Monday. 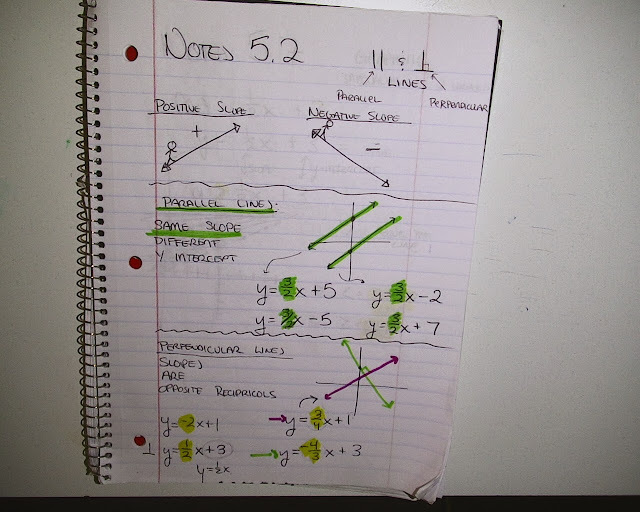 If you need to make up the notebook quiz, any day is a good day to do it. 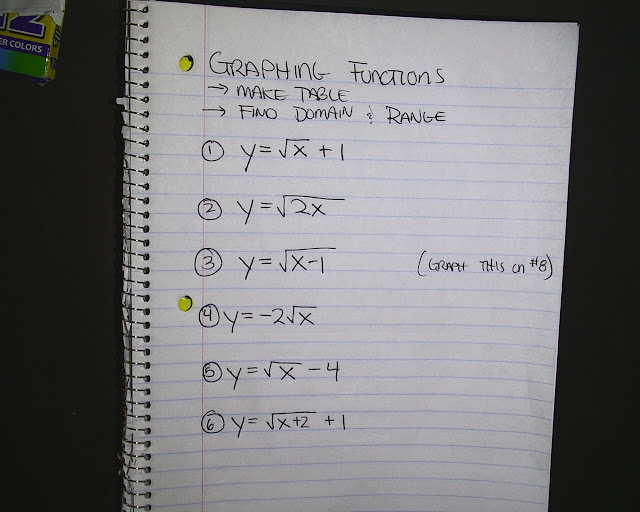 Graph these 8 functions. 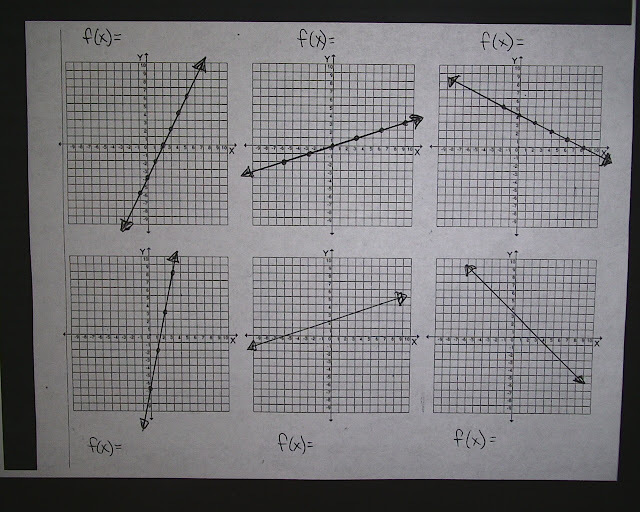 Print out the six graphs from the right to do this. Homework for Period 7: None, you turned in the work from last week, and I gave you time to finish it. Period 3: Get a bronze medal on the new MangaHigh site. No homework today. We finished the classwork. Check the Sub Lessons above to see what you are doing next week. 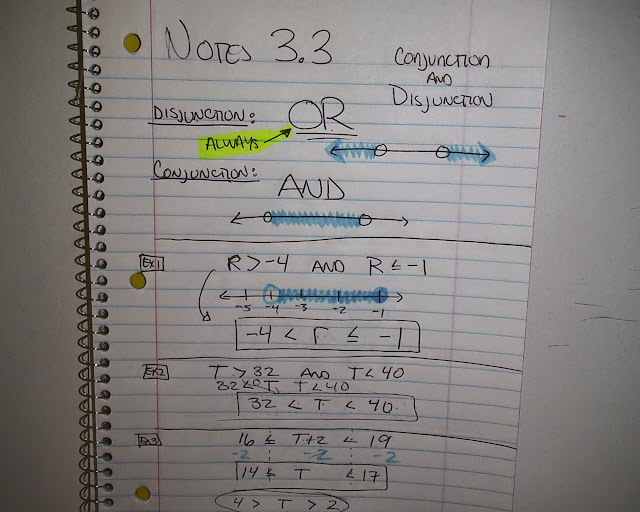 Even if the sub messes something up, you are responsible for the three worksheets (And quiz Algebra) next week. Bring all three completed assignments back the following Tuesday the 19th. Homework for period 1: Finish page 333. Period 7: Prepare to turn in the 10 problems with 19 answers. Work on page 333. Sorry there are no notes posted, or the problems. Will post them tomorrow when I am back at school. Homework for period 2,4: Finish the ten problems shown below. 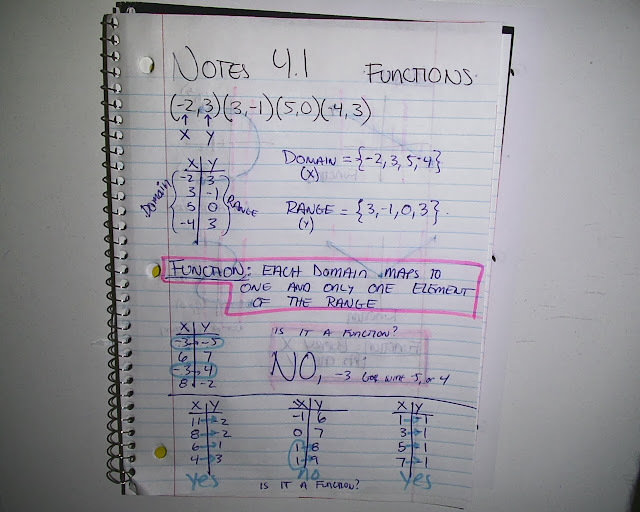 Period 1,3,5: If you did not finish the classwork, do it. Otherwise, do the 84 problems from page 333 in your workbook. No homework, I was not there today. Period 1,2,3,4,5: No homework. We took benchmark. If you are in Adv. 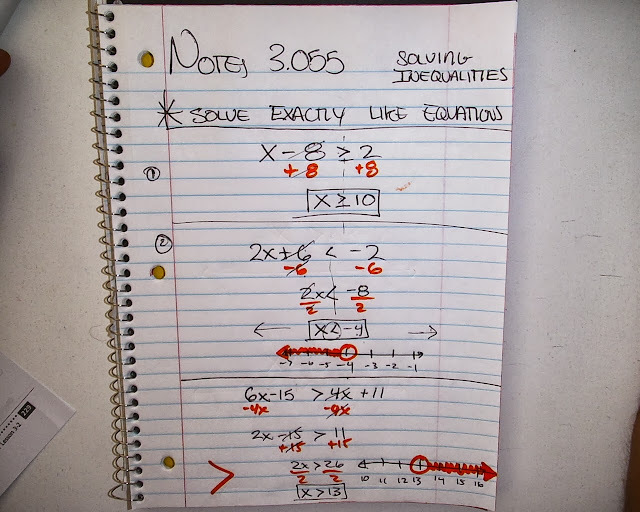 Algebra and did not do the 10 problems, check yesterdays post and do those problems. There are video links too if you forgot how to do them. Bonus: If someone in Advanced Algebra wants to make a facebook group and invite people (and ME! ), do it.